I got back on Wednesday from Bombala in south-eastern New South Wales - where the koala "bear" soft toy craze started almost 90 years ago, in 1927 - to hear the sad news that Paddington Bear creator Michael Bond had passed away in London, at the age of 91. I guess one could argue that Paddington Bear is the late 1950s British manifestation of Australia's symbolic koala soft toy, though the koala - notwithstanding the overwrought opinions of Sheldon Cooper on The Big Bang Theory - is not a bear at all. 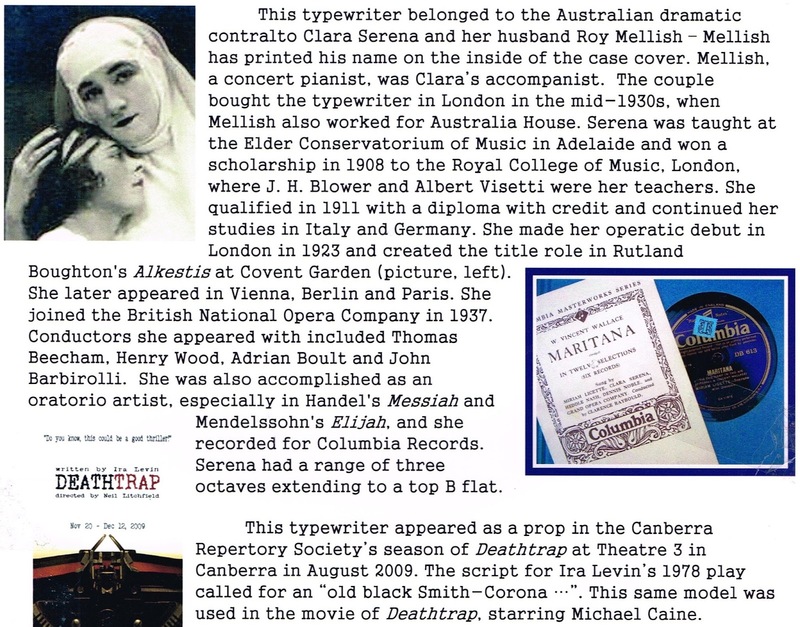 Karen Jankel, Michael Bond’s daughter, with Bond's Olympia typewriter. Nor is the Olympia SM9 semi-portable typewriter upon which Bond is claimed to have created Paddington Bear the typewriter Bond actually used when he wrote his first Paddington Bear story, in 1954. Bond bought the Olympia in 1965, 11 years later. 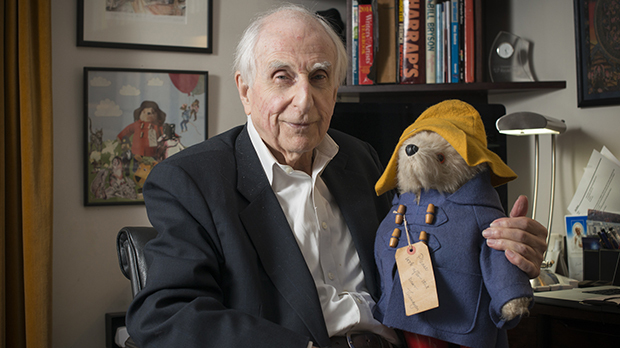 Thomas Michael Bond was born in Newbury, Berkshire, on January 13, 1926. He served in Egypt with the Middlesex Regiment of the British Army in World War Two and while based outside Cairo was offered the use of a typewriter in the orderly's office. It was with this machine that Bond wrote his first short story, in a tent in 1945. He sold the story to the magazine London Opinion, for which he was was paid seven guineas, and thought he "wouldn't mind being a writer". In 1958, after producing a number of plays and short stories and while working as a BBC television cameraman, Bond's first book, A Bear Called Paddington, was published. By 1965, Bond was able to give up his BBC job, buy his Olympia typewriter, and work full-time as a writer. 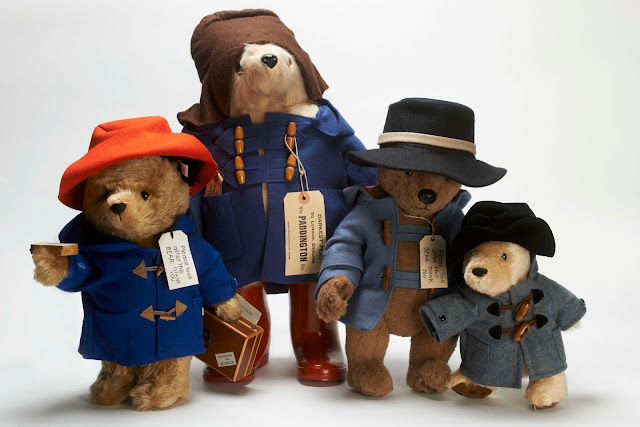 Over the next 52 years more than 35 million Paddington books were sold in more than 40 languages, and have inspired pop bands, race horses, plays, hot air balloons, a movie and a television series. Bond married Brenda Mary Johnson in 1950 and in Selfridges on Oxford Street on Christmas Eve three years later, on a whim, he bought her a hand-puppet bear as a Christmas tree stocking filler. Bond remembered, "It was the last one on the shelf and looked rather forlorn, I felt sorry for it. 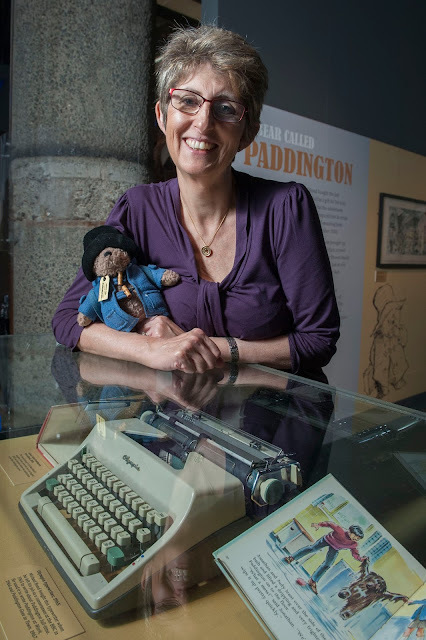 I called it Paddington because I'd always wanted to use the name; I think it has a nice, safe, West Country sound." A few weeks afterwards, in early 1954, Bond sat in the couple's one-room flat off the Portobello Road, west London, staring at his then typewriter (not the Olympia) and a blank piece of paper. "Glancing round in search of inspiration, my gaze came to rest on Paddington, who gave me a hard stare from the mantelpiece, and the muse struck, along with what was destined to become the equivalent of a literary catchphrase. Suppose a real live bear ended up at Paddington station? Where might it have sprung from, and why? If it had any sense it would find a quiet spot near the Lost Property Office and hope for the best. I knew exactly how my own parents would react if they saw it, particularly if it had a label round its neck, like a refugee in the last war. There are few things sadder in life than a refugee." 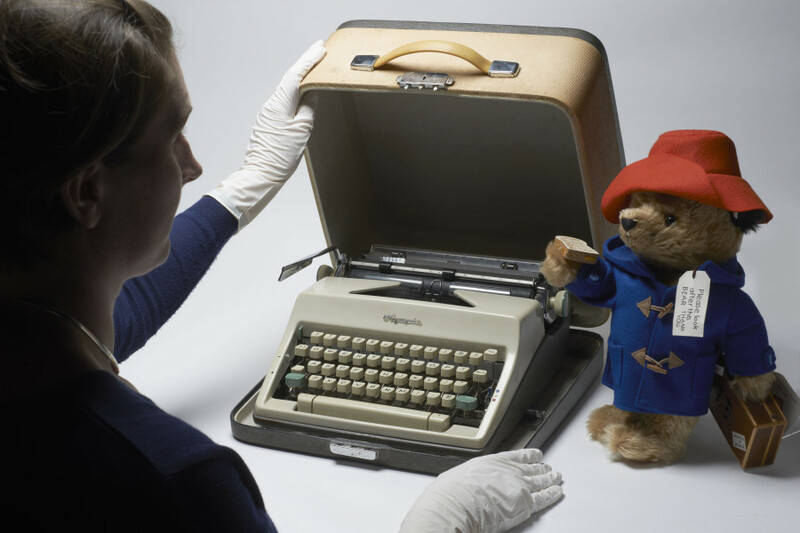 Bond typed, "Mr and Mrs Brown first met Paddington on a railway platform." He later recalled, ''It was never intended as a book. I just wrote something to get my mind going. But it rather caught my fancy, so I carried on." This was the start of Bond's series of books recounting the tales of Paddington Bear, a bear from "darkest Peru", whose Aunt Lucy sends him to England carrying a jar of marmalade. In the first book the Brown family find the bear at Paddington Station, and adopt him, naming the bear after the railway station. 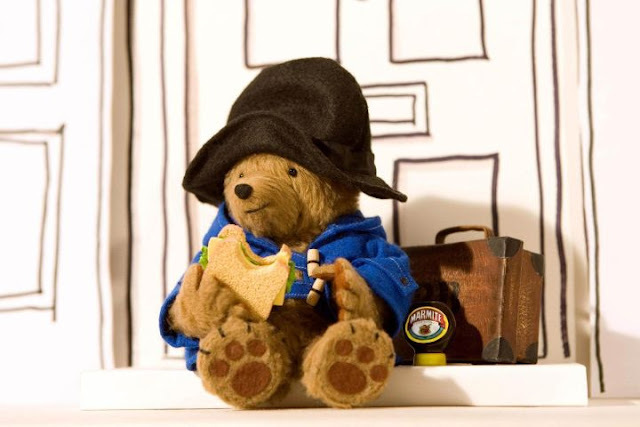 Bond gave Paddington the government-surplus duffel coat and bush hat that he himself wore. And around his neck he hung a luggage label bearing the words, "Please look after this bear. Thank you." Bond said, "Paddington was the first character-driven story I’d ever written and for some reason he came alive." - watch this space for the finished product!